In April 2018, the Ministry of Transport, the Ministry of Industry and Information Technology and the Ministry of Public Security jointly issued"Intelligent & Connected Vehicles Road Test Management Regulation", which is the first to regulate the autonomous vehicles road test from national level. Automatic driving with the purpose of security must be completed through a long closed road and open road test to improve the automatic driving technology. It is also an important prerequisite for the realization of Large-Scale Mass Production of L3 level Autonomous Vehicles in 2020. At the same time, Baidu announced the Mass Production of the first L4 autonomous bus "Apollo", which marks China has the ability to open the global patternthe in the field of AI application in Autonomos Driving. However, the development of China's autonomous driving still faces many challenges. 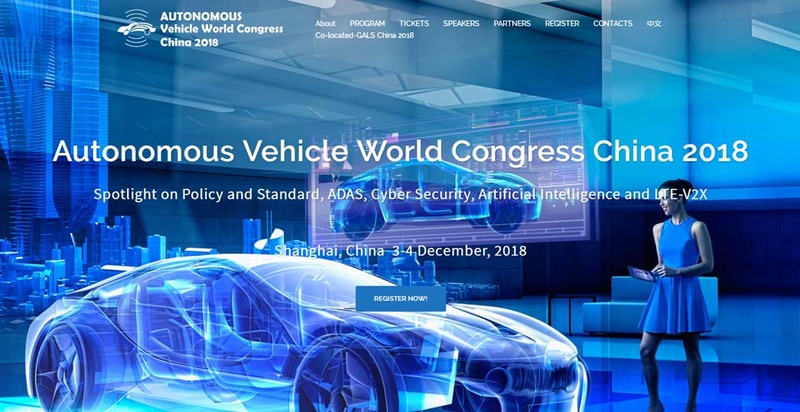 According to policy orientation, the Autonomous Vehicle World Congress China 2018 will share and discuss the status and development of autonomous driving in China and the world, open road test progress, environmental perception technology, artificial intelligence and intelligent automobile network security, V2X industrialization, autonomous driving mass production, scene application and business model. The Autonomous Vehicle World Congress China 2018 will provide the audiences a high-end business communication and technology exchange platform, to promote upstream and downstream and cross-border cooperation, and jointly accelerate the development of new eco driving.